On Tuesday, June 5, members of the Notre Dame and South Bend communities came to the Jordan Hall of Science to witness the Transit of Venus, a rare astronomical event in which the Earth, Venus and the Sun align. Over one thousand visitors gathered to watch Venus transit the sun for the last time this century. The University of Notre Dame will host the American Crystallographic Association Summer Course in Chemical Crystallography from June 18 – 27. Students enrolled in the course include graduate students, faculty, and industry professionals who have a background in biochemistry, chemistry or physics. Attendees are coming from all over the world including the India, Thailand, Brazil, Sweden, and the United States. Raju Rayavarapu and Ana Jakimenko received awards at the Indiana University Simon Cancer Center Research Conference on May 9, 2012. Jakimenko and Rayavarapu both work with Zachary Schafer, Coleman Assistant Professor of Cancer Biology. University of Notre Dame professor of physics Peter Garnavich has research interests that cover a wide range of topics in observational astrophysics. In preparation for the Tuesday (June 5) Transit of Venus, he offers an explanation of the science behind this rare event. 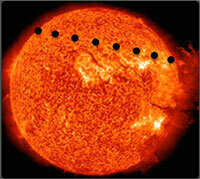 “The transit of Venus across the face of the sun is one of the rarest events in the solar system. Venus has passed directly between the Earth and sun only 52 times between 2000 BC and 2000 AD; that’s 4,000 years! There have only been seven Venus transits since the invention of the telescope in the early 1600s. The transit on June 5 will be No. 8. The next chance to see a Venus transit is in 105.5 years." John LoSecco, professor of physics, will spend six months in France as a Fulbright Foreign Scholar starting this fall. The award will enable him to be on-site at a critical stage of the international Double Chooz experiment that has been under way for years. The project will be installing its second neutrino detector north of Paris in August. On Tuesday (June 5), the Earth, Venus and the Sun will align for the last time in the lifetime of any human on the planet. This rare event called the Transit of Venus, when the planet Venus passes directly in front of the Sun, won’t be seen on Earth again until 2117. The Transit of Venus is a rare astronomical event because Venus and Earth orbit the Sun on planes that align only twice in an eight-year period, and then the orbits do not realign for either 121.5 or 105.5 years. When Venus transits the sun, what we see from Earth is a small black dot that passes along a path from left to right. The University of Notre Dame is hosting a series of events to mark the Transit. Twenty-eight undergraduate mathematics students from different universities, including nine students from Notre Dame, gathered on campus May 21-26 to study knot theory, hearing lectures and working in open-ended problem sessions that can continue when the event ends. The session was part of the Center for Mathematics’ Thematic Program on Topology and Field Theories program that includes a week for graduate and postdoctoral students and another for a conference. Greg Crawford, dean of the College of Science, hosted the annual Dean’s Award Luncheon on Friday, May 18, 2012 in the Jordan Hall of Science Galleria. Over 180 students, family members, faculty, and staff were in attendance to celebrate the achievements of the college’s top graduating seniors. 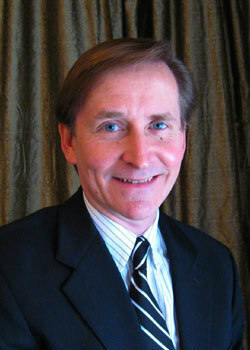 Dean Greg Crawford presented the 2012 Father James. L Schilts, C.S.C./ Doris and Eugene Leonard Teaching Award to Jeffrey Diller, professor of mathematics, at the annual Dean’s Awards Luncheon. Over 180 students, family members, faculty, and staff were in attendance at the annual event on May 18, 2012 in the Jordan Hall of Science Galleria. 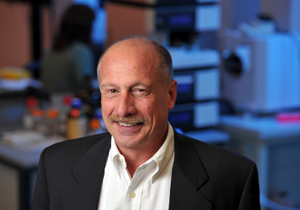 The Society for Developmental Biology has awarded Paul Kroeger with prestigious second place honors for his invited oral presentation at the recent 50th Annual Midwest Developmental Biology Meeting, held May 10-12, 2012 at the Cincinnati Children’s Hospital Medical Center, Cincinnati, OH. Paul is a 5th year Ph.D. candidate in the laboratory of Dr. Robert A. Schulz. Cancer patients who suffer chemotherapy–induced nausea and vomiting (CINV) are experiencing effective relief as a result of new research indicating the usefulness of the anti-psychotic olanzapine to control these potentially debilitating side effects. 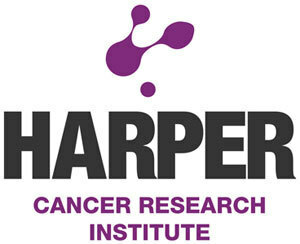 "This is the first time that breakthrough CINV has been studied in a systematic way," said Dr. Rudolph M. Navari, lead author of the study and professor of medicine, associate dean of IUSM-SB and clinical director of the Harper Cancer Research Institute. "This study suggests that olanzapine will be very useful in these patients who feel very sick and sometimes come to the clinic, hospital or emergency room. As a result, patients will feel better." Navari is presenting his findings next month at the annual conferences of the American Society of Clinical Oncology (ASCO) and the Multinational Association of Supportive Care in Cancer 2012 Annual International Symposium. 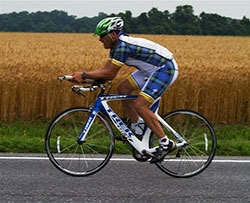 Greg Crawford, dean of the College of Science at the University of Notre Dame, will be cycling 3,250 miles from Boston to Pebble Beach, Calif., to raise awareness and funds for research to find a cure for Niemann-Pick Type C (NPC) disease. His third cross-country ride will start May 21 (Monday) and conclude June 22 (Friday), in time for the Parseghian Classic, a golf fundraiser at Pebble Beach Resorts. The “Road to Discovery” bicycle ride demonstrates Notre Dame’s commitment to research to find a cure or treatments for the devastating disease that took the lives of three grandchildren of former Notre Dame head football coach Ara Parseghian. Members of Dean Greg Crawford’s Scientific Entrepreneurship course gave semester-culminating formal pitches for businesses developed from research discovery. Judges included academics and entrepreneurs with experience in presenting business plans to potential investors. The two-hour course, which includes undergraduates in a range of majors including chemical engineering, environmental science, biological sciences, science-business, physics and mathematics, introduces students to the process of commercializing ideas and products from the laboratory. The College of Science Joint Annual Meeting (COS-JAM) attracted over 400 hundred student attendees to the Jordan Hall of Science on Friday, May 4. Undergraduate students presented their original research in the areas of Applied and Computational Mathematics and Statistics, Physics, Chemistry and Biochemistry, and Biological Sciences. Twenty five students gave oral presentations and 102 students showcased their research through poster presentations. In addition, five guest presenters from the Northern Indiana Regional Science and Engineering Fair for elementary and high school students exhibited their research in the Galleria. The attendance at this year’s event was the largest in the six year history of COS-JAM. 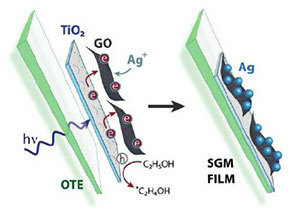 Researchers in the laboratory of Professor Morten Ring Eskildsen have recently published the first findings on metastability in the superconductor magnesium diboride (MgB2). The paper, “Observation of Well-Ordered Metastable Vortex Lattice Phases in Superconducting MgB2 Using Small-Angle Neutron Scattering,” appeared in the April 20 issue of Physical Review Letters. Two of its authors, Tommy O'Brien '10 and Kim Schlesinger '11, were undergraduate researchers who had received support from the Glynn Family Honors Program and the summer REU program at Notre Dame. Five faculty members in the College of Science at the University of Notre Dame have received Rev. Edmund P. Joyce, C.S.C., Awards for Excellence in Undergraduate Teaching. 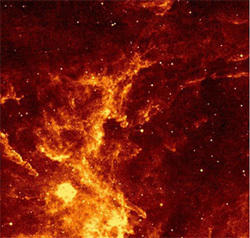 Many students work the night shift to get through law school, but Colin Littlefield’s late-night job at the Notre Dame Observatory has led to a one-in-a-billion discovery of a rare type of star, a Wolf-Rayet. 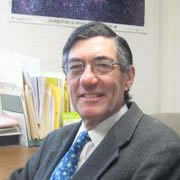 Littlefield discovered the exceptional star, named WR 142b, this past summer, and he and his colleagues announced the discovery in a paper accepted for publication in The Astronomical Journal. 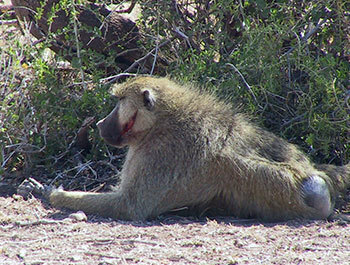 Co-authors of the paper include Peter Garnavich, Terry Rettig and Colin McClelland of the University of Notre Dame Department of Physics; Howie Marion of the Harvard-Smithsonian Center for Astrophysics, Jozsef Vinko of the University of Szeged in Hungary; and J. Craig Wheeler of the University of Texas at Austin. Four University of Notre Dame students have received National Science Foundation (NSF) Graduate Research Program (GRFP) Fellowships. The NSF GRFP was created to enhance the scientific and engineering workforce in the United States. Past NSF Fellows include individuals who have made significant breakthroughs in science and engineering research, as well as some who have been honored as Nobel laureates. The Department of Chemistry and Biochemistry launched the Nicholas C. Angelotti Undergraduate Research Fund in Analytical Chemistry with a lecture by Tim Angelotti, a researcher and associate professor at the Stanford School of Medicine, followed by a few words from David Angelotti who spoke about his father. The Angelotti family established the Nicholas Angelotti Undergraduate Research Endowment for Excellence in 2005. Earnings for the endowment will support summer studentships, beginning this summer in Professor Marya Lieberman’s laboratory. Rev. Joseph L. Walter, C.S.C., professor emeritus of chemistry and biochemistry at the University of Notre Dame, died Wednesday (April 18) at Loyola University’s Stritch School of Medicine, in Maywood, Ill. He was 82 years old. 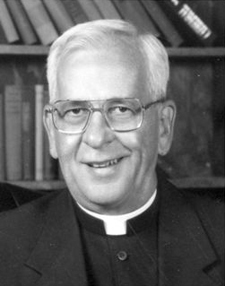 A native of Braddock, Pa., Father Walter attended St. Joseph’s grade school and St. Thomas High School there before enrolling in Duquesne University in Pittsburgh, from which he was graduated in 1951. Following his graduation, he did graduate studies in chemistry at the University of Pittsburgh, working for two years there in the laboratory of Dr. Jonas Salk, the developer of the eponymous polio vaccine, and receiving a doctoral degree in 1955. Within ten days of receiving his degree, Father Walter came to Notre Dame to begin studies for the priesthood. The University of Notre Dame’s Eck Institute for Global Health is now a full member of the Academic Model Providing Access to Healthcare (AMPATH) Consortium, led by Indiana University. 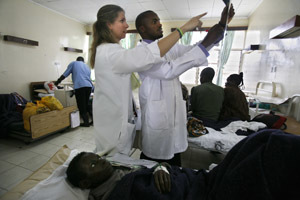 The Consortium works in collaboration with Moi University School of Medicine and Moi Teaching and Referral Hospital in Eldoret, Kenya to help build the care, education and research capacity of these institutions with the goal of providing access to health care for all persons throughout western Kenya. 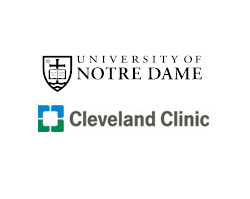 The Eck Institute will serve as the central coordinating body for Notre Dame activities within the AMPATH Consortium. The recent mild winter throughout much of the United States was a cause for celebration for many. However, butterfly aficionados shouldn’t be joining in the celebration. 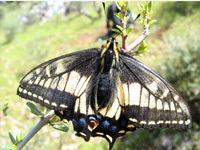 A new study by Jessica Hellmann, associate professor of biological sciences at the University of Notre Dame, and researchers from Western University found that mild winters, such as the one many of us just experienced, can be taxing for some butterfly or possibly other species. Hellmann and her fellow researchers studied caterpillars of the Propertius Duskywing butterfly, which feed on Gary Oak trees. This species of caterpillar, like many insects, has a higher metabolic rate and burns more fat during mild winters. Shailaja Kunda, a graduate student in the Department of Chemistry & Biochemistry at the University of Notre Dame, has been named a recipient of the Faculty for the Future award for the 2012-2013 academic year. This year, there were 63 fellowships awarded to women from 28 countries around the world. Knudsen is the medical director for Cedars-Sinai Advanced Biobank, director of translational pathology at Cedars-Sinai Medical Center and a member of the HCRI external advisory committee. Her presentation is free and open to the public. University of Notre Dame junior Patrick O’Hayer has been named a 2012 Barry M. Goldwater Scholar. He was selected from thousands of applicants to receive the prestigious Goldwater Scholarship for the 2012-2013 academic year. O’Hayer is a member of the Glynn Family Honors Program and is majoring in biology, with a minor in philosophy. He plans to pursue an M.D./Ph.D. dual degree program and wants to conduct translational medical research, likely in the field of molecular genetics.